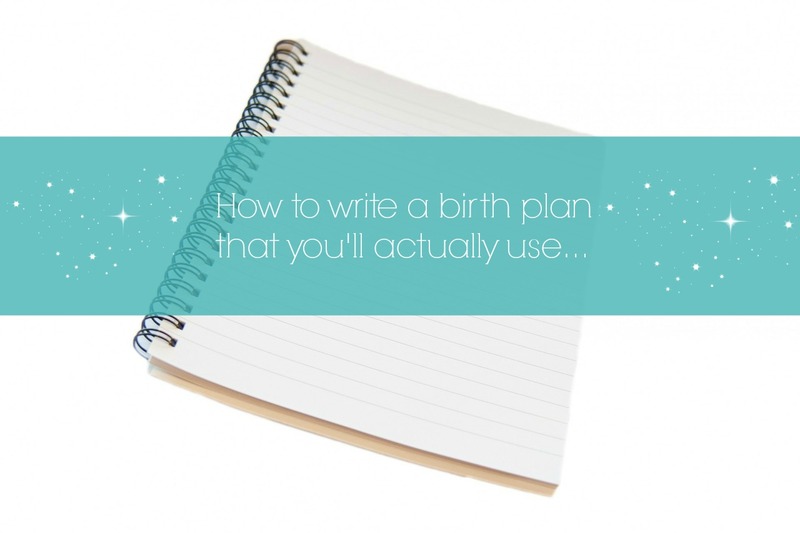 Some people don’t want to write anything down and instead have another “plan”: have the baby safely. In some ways I love that attitude, but I also think it’s important to know a little bit about what to expect and decisions you may have to make so you aren’t making a pro/con list in the middle of labor. Or making quick decisions that you might be uncomfortable with after the fact. Even if you don’t give a document to your birthing team (at the hospital or wherever you may be having your baby), it’s a good exercise. Maybe just your birth partner keeps a copy in his/her bag for reference. I did a lot of research on birth plans for natural birth and spoke to my birth class instructor and midwives about this. Whether or not you’re planning to write up a document, I just wanted to share my top tips for getting your thoughts and wishes on paper before the big day! It was helpful for me to think of this as a document that shares preferences and wishes with your birth team – whomever they may be. Instead of creating a list of demands, keep your birth team in mind when you’re writing your document. They’ve had extensive training and attended hundreds of births. What specifically do you want them to know about you? Customize your birth preferences sheet to yourself but also your birth team. See #3 for how to gain more insight on your team. I read through several birth preferences documents that other moms had graciously shared online. It’s helpful to search based on your natural birth method (hypnobirthing, Bradley method, etc.) so you’re not getting bogged down by irrelevant info. Many birth books also have birth preferences templates. Now, throw out all the stuff you learned in Step 2. Well, almost all of it. It’s good to have a foundation but your birth preferences will be most effected by YOU and YOUR hospital (or birth center, etc. ), not some well-meaning mom in a different state (or country) on the internet. For example: Does your birth team always bring the baby skin-to-skin with mom right after birth? Then you probably don’t need to request your baby is brought to your chest after birth. Find out what their standard practices are and include information in your birth preferences that may deviate slightly from their norm. Or include it if it’s really important to you and you want to make doubly sure the staff knows your wishes. We brought our birth preferences sheet to an appointment in the third trimester and went through it with one of our midwives so she could give us feedback. They can then pull the most pertinent info and add notes to your charts in addition to including a copy of your document. Another great way to get information is from a hospital/birthing center tour. Ask questions of the nursing staff. Let them know what birth method you’re using and ask for advice tailored to that method. My biggest confidence booster was when I told the nurse on the tour that I was doing a hypnobirth and she squealed with delight “Oh, great! We love hypnobirthing moms!” What a relief that I now knew that (at least some) hospital staff were familiar with and supportive of my birth method. She mentioned that the hospital would try their best to match us up with nurses who are familiar with the method. We also got some great info about what to bring to the labor & delivery room and what to leave at home or in the car. Again, your hospital staff has been to hundreds of births and you (most likely) haven’t. If you’re doing a tour with a bunch of other couples as part of a class and don’t feel comfortable cornering the nurse with your specific questions, ask if you can set up a time to come back, or hang back for a few minutes (if the nurse has time) to chat after the group has left. We created a one-page document to be included in our file for the hospital staff and a different one for just my husband to keep on hand. The one-page document was in paragraph format (split into a few basic categories) and was more conversational. It included information about us, our preferences and other basic insight about our decisions. For example, I have had several not-so-great experiences with pain management through anesthesia and other pain medications (red heads unite! ), which is one of the reasons I am choosing a natural birth sans medication. My midwife suggested adding instructions for what staff should do if I do ask for an epidural or other pain medication. Do they wait until I’ve asked more than once? More than twice? Even if you are fully committed to a natural birth, it’s a good idea to think in advance about how you want your birth partner and birth team to react if you all of a sudden ask to deviate from your method. Another example: I have deep veins that can be difficult to find for drawing blood or placing an IV. However, I have no fear of needles so I mentioned that if an IV is medically necessary, staff can try multiple times in each arm without apology/explanation. This information was actually added to my charts as a “sticky note” in addition to being highlighted on my birth preferences document. It’s something the midwives wanted to make sure the nursing staff knew – whether they had the time to look at my birth preferences sheet or not. Do you want more details about what was on my document? Feel free to leave questions in the comments!